The first week of October brings awareness to mental illness and highlights issues, provides support, and works to fight stigma associated with mental health. Did you know, 1 in 17 (14 million) Americans live with a major mental illness like depression, schizophrenia, or bi-polar disorder? According to NAMI (National Awareness on Mental Illness), 1 in 4 (62 million) persons are affected by mental illness, 20% of teens 13-18 have a mental illness, and 18% of adults (42 million) cope with anxiety disorders. 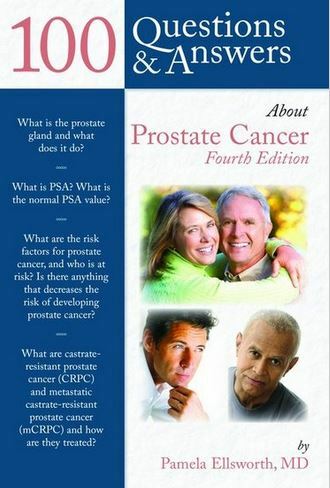 Prostate cancer is common. In 2012, there were an estimated 2,795, 592 (over 2.5 million) men living with prostate cancer in the United States. It is estimated that there will be 220,800 new cases of prostate cancer in 2015, accounting for 13.3% of all new cancer cases. Approximately 27,540 men will die from prostate cancer in 2015. (SEER Stat fact sheets: prostate cancer) It is likely that you know someone, a spouse, significant other, family member or friend with prostate cancer. I am excited and honored to have been given the opportunity to update 100 Questions and Answers About Ovarian Cancer. This edition reflects some important advances in the screening, diagnosis, and treatment of ovarian cancer, as well as a more nuanced approach to topics related to life with or after ovarian cancer. 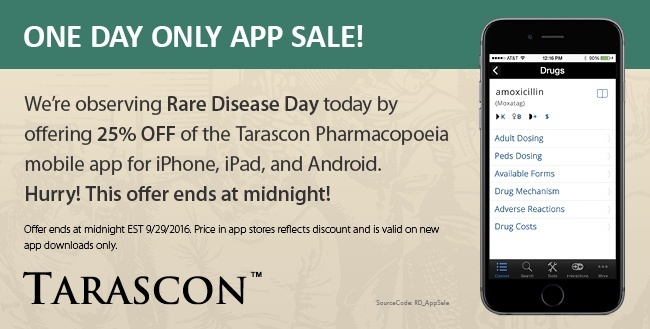 Enjoy the mobility of the pocket-sized Tarascon Classic Pharmacopoeia now with larger print size! The newest pocketbook has the same abbreviated content and trim size as the popular Pharmacopoeia series with the convenience of larger, easier to read font. The new Tarascon Pocket Pharmacopoeia 2015 Large Print edition will be available August 8, 2015! Chain restaurants aren't known for being the healthiest places to eat, but the Center for Science in the Public Interest (CSPI) recently compiled their annual Xtreme Eating list of the unhealthiest meals in restaurants--meals around 2,000 calories (a day's worth of food). National Cancer Survivors Day is the annual celebration on the first Sunday in June. This day celebrates healthcare professionals and anyone living with a history of cancer--survivors, inspiration for those diagnosed, support for families, and awareness for the community. The National Cancer Day Foundation sponsors free guidance, education, and networking in communities. To find events near you, contact local hospitals, cancer centers, or other cancer-related organizations. The David Geffen School of Medicine at UCLA is bringing artists and future physicians together with the work of Ted Meyer. Meyer has been a guest artist at UCLA for five years; his position includes recruiting a network of artists exploring illness and curating discussions with the artists and first and second year students. His hope is to provide students with a more solid understanding of patients--living with afflictions, listening to first-hand accounts of coping with conditions, and understanding the relationship between this and their work. Spread the word: September is Childhood Cancer Awareness Month!